A much improved showing from the Saints today who dominated the inside 50 count (6747) and got back to applying strong forward half pressure (47-26 forward half tackles) that lead to a 32-20 advantage in forward half intercepts. Fittingly a game saving contest from Phil Davis sees the match end in a draw. Davis finished with 14 spoils (the equal most ever by a Giant), and also recorded 14 intercept possessions (only three times has a Giant had more). GWS has won the clearances 155 in the final quarter, and have a forward 50 stoppage in the final minute (from which they are the No.1 ranked team at scoring). Another forward half intercept launched the goal to Paddy McCartin, who has been targeted with a teamhigh 13 forward 50 entries today. A super goal from Ben Long was again launched by a forward half intercept. 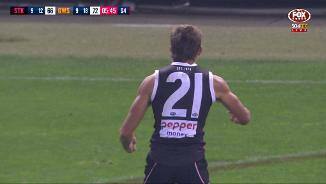 St Kilda has a seasonhigh 31 such intercepts and has scored 5.4. (34) from these opportunities. GWS has scored 2.3. (15) from its 18 forward half intercepts. St Kilda has recorded kicking efficiency of just 47 percent in the final quarter, with this undoing more territorial control (149 inside 50 entries). The goal to Weller came courtesy of an assist from Seb Ross (his third of the day) and was launched from a kickin. This was the first goal of the season that the Saints have scored from a kick-in. Stephen Coniglio has again contributed in all phases of the game, with teamhighs for disposals (27), contested possessions (12) and tackles (9), while also recording eight score involvements and six clearances. In the final quarter, the Giants lead the clearances 83 and disposals 44-20 with signs that their midfield depth is overwhelming the Saints. GWS lead 134 in hitouts to advantage with Dawson Simpson contributing 12 of these. His primary opponent Tom Hickey has contributed a team-high seven clearances and an equal team-high 11 contested possessions. A clutch snap goal from Jack Billings was again sourced from a forward half intercept. St Kilda now leads 2512 in such intercepts and 28-8 in scores from this source. The opening goal of the final quarter to the Giants was sourced from a forward half stoppage. GWS is the No.1 ranked team at scoring from this source, and today leads 142 in scores from such stoppages. Lachie Whitfield has contributed teamhighs of nine score involvements and 476 metres gained for GWS. The Saints lead in forward 50 disposals 3926, but have recorded disposal efficiency of only 44 percent in this area of the ground, compared to the Giants 58 percent. A trio of class goals from the Giants in the third quarter sees them nine points in front at the final change. GWS again conceded territory to the Saints (1511 inside 50 entries and 54 percent time in half), but kicked three goals to one. The seven defensive oneon-one contests that Phil Davis has won equals the most that a player has won since these contests have been recorded (2012). GWS lead 163 in spoils gaining possession with its defenders doing well to not only diffuse the ball movement of St Kilda but direct spoils to advantage. Phil Davis has again been terrific at disrupting the ball movement of the opposition. Davis has gamehighs for intercept possessions (nine), and spoils (12). He has also won seven one-on-one contests, while St Kilda has won six. St Kilda leads the clearances 2220, but GWS lead the scores from stoppages 2.4. (16) to 0.3.(3). The Saints are ranked last in scores from stoppages this season. This quarter the Saints lead 81 in forward half intercepts, with the Jack Steven goal coming from this source. St Kilda has scored 3.4. (22) from 23 such intercepts today, and average 23 points this season from these opportunities. 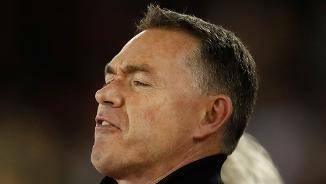 The last goal to the Giants came from a Dylan Shiel intercept on a St Kilda kickin. St Kilda has retained possession in the midfield from just 27 percent of its kick-in chains this season (ranked last). 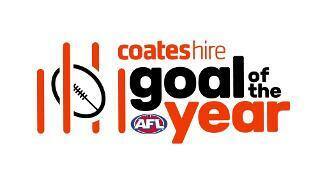 Another classy goal to the Giants, this time from Toby Greene makes it three goals in a row to GWS. The last two goals for the Giants have come chains started in the defensive midfield, and in the first half they scored 0.5. (5) from these chains. 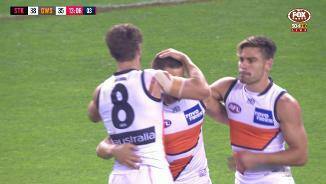 A classy goal from Brett Deledio gives the lead back to the Giants. Deledio has a teamhigh nine contested possessions and an equal team-high 17 disposals in another encouraging performance from the prized recruit. GWS has averaged 35 points from 25 forward half intercepts this season. Today the Giants have scored just 0.1. (1) from seven such intercepts. St Kilda lead 3513 in forward half tackles and 8-1 in forward 50 tackles with the manic forward half pressure of last season evident again today for the Saints. The Saints have won the contested possession count 82 to start the third quarter, and generated the first four inside 50 entries, but do not have a score to show for this dominance. St Kilda has now had 14 of the last 15 forward 50 entries in the game with the Giants defence under siege. In the last ten minutes of the second quarter, the Saints won the inside 50 count 101 and time in forward half (79 percent). GWS managed to score a goal from that solitary entry to keep the margin to just five points at half time. St Kilda generated 21 inside 50 entries in the second quarter (GWS recorded just the ten). The only time the Saints have recorded more entries in a quarter during the past five years was in their standout win against Richmond in round 16 last year. The steadying goal from Jeremy Cameron was launched from a defensive 50 chain. GWS has now scored 3.2. (20) from such chains, and averages 17 points from this source. The Saints have generated the last seven inside 50 entries and now lead 124 in forward half intercepts this quarter, with shades of the 2017 version of St Kilda on display. The excellent set shot at goal from Luke Dunstan was again launched by a Blake Acres intercept. St Kilda has now scored 3.3. 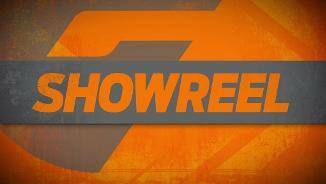 (21) from its set shots at goal, while GWS has scored 2.4. (16) from its set shots at goal. Blake Acres leads the Saints for contested possessions (seven) and score involvements (six), while also launching four scores for the Saints today (no other Saint has launched more than one score). St Kilda now has two goals today from defensive 50 chains, and has scored 3.2. (20) in total from defensive half chains, which is more than it scored in either of the previous two weeks from this source. This quarter the Saints lead 2013 in contested possessions and 8-4 for inside 50 entries, but both teams have scored one goal. St Kilda lead 60 in forward half intercepts this quarter, and has scored 1.2. (8) from these opportunities. Giants InterchangeNick Haynes off due to an injury. A couple more behinds early in the second quarter to Jack Billings who has now kicked two goals and eight behinds for the Saints this season, but provided a teamhigh seven score assists. Jeremy Cameron has now taken three forward 50 marks for the Giants today and 20 for the season, which is more than any other player in the competition. St Kilda currently lead 31 in intercept marks. Greater Western Sydney has taken the second most intercept marks of any team this season, with Nick Haynes and Phil Davis each contributing 12 (ranked equal-sixth in the competition). An even first quarter ends with the Giants holding a three point lead. 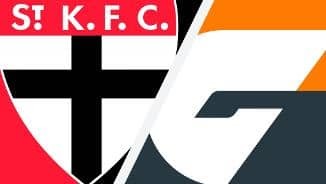 St Kilda fans would have been encouraged by the strong effort, with the Saints matching the Giants at stoppages and shading them for time in forward half (52 percent). St Kilda did not record a clanger kick in the opening quarter (GWS recorded six such kicks). The Saints average 25 clanger kicks per game in 2018, which is the fourth most in the competition. St Kilda has targeted Jade Gresham with four of its inside 50 entries in the opening quarter (more than any other Saint). Gresham has only been targeted eight times in total across the first four games of the season. Saints InterchangeJack Newnes and is possibly out for the game. St Kilda has won the last six clearances (and now leads this count 116) with the last clearances providing the score to Blake Acres. The Saints are ranked last in scores from stoppages this season with an average of 15.8 points. 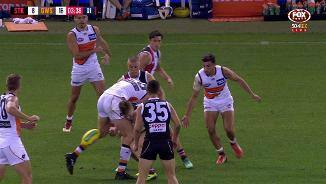 The last goal to the Giants came courtesy of an assist from Matt de Boer who this season has won a competitionhigh 15 groundball-gets in the forward 50, and also ranks equal-first in the AFL for forward 50 clearances (six). Dylan Shiel currently leads all players for contested possessions (five), disposals (eight) and score involvements (four). Shiel has averaged 20.6 disposals against the Saints, which is his lowest return against any team. Saints InterchangeBrandon White off due to the blood rule. In the last ten minutes, the Giants have won the contested possession count 219 with its midfield starting to swarm on the ground ball. An early set shot miss from Jack Billings who has recorded a careerlow shot at goal accuracy of just 29 percent this season, but is also the No.1 ranked Saint for score involvements in 2018. Jeremy Cameron who has taken two early forward 50 marks for the Giants has won 46 percent of his offensive oneon-one contests this season, which is the third-highest percentage of the top-20 players to be involved in such contests. Both of the scores to the Giants have come from forward half stoppages. GWS is ranked first at scoring from this source, with an average of 21 points per game. The opening goal to the Saints came from a chain started in the defensive 50. St Kilda has only scored one goal in total across its past two games from such a chain. St Kilda has retained possession in the midfield from just 27 percent of its kickin chains this season (ranked last), but was able to generate an inside 50 entry from its first kick-in today in an early sign of better ball movement. Greater Western Sydney has scored a total of 84 points directly from clearances this season (ranked first), and has scored from 16 percent of its kickins this season (also ranked first). The Saints have won the uncontested possession count by 29 per game this season, which is the secondbest differential of any team, but are ranked second last for inside 50 differential. Welcome to Etihad Stadium for the St Kilda v GWS Giants Round 5 clash. IT IS the season of the response and St Kilda nearly delivered its own against Greater Western Sydney on Saturday. The Saints, in fact, couldn't have come any closer. The clubs played the first draw of the season at Etihad Stadium after the Saints came back from 18 points down midway through the final quarter to level the scores with two minutes to play. That Jade Gresham point proved the tie decider, although the Saints had one last chance in the final seconds to edge ahead when Jack Steven bolted down the wing and delivered a pass to Jake Carlisle. 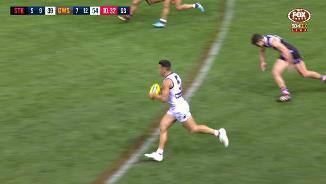 But the former Bomber, who was 35 metres from goal, couldn't hold onto the mark and it spilled to the ground before the siren sounded to see the clubs stuck at 73 points apiece. 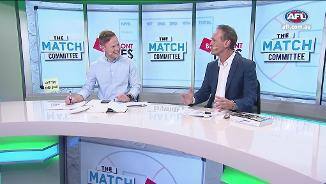 Collingwood, Essendon, Fremantle and the Western Bulldogs are among the clubs so far this year to follow a week of heavy criticism with a stirring win. Even Adelaide joined the list on Friday night against Sydney. The Saints almost joined that list of clubs but would have been buoyed by their far improved performance after an underwhelming start to their season. After looking like they had the game under wraps, the Giants' final 10 minutes will come under the microscope after conceding the last three goals of the game. Brett Deledio (29 disposals, two goals), Callan Ward (29) and Stephen Coniglio (29) were all good for the Giants, while the Saints were well led by Seb Ross (31 disposals), Steven (29) and Blake Acres (29). 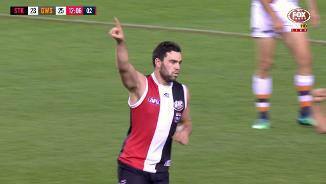 Paddy McCartin booted three goals, including one in the Saints' late run. 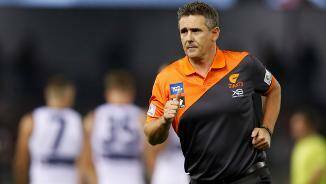 GWS coach Leon Cameron said his group was fortunate to walk away with two points from the game. "We were lucky. As much as we were up by 18 points, we were very lucky. They had 67 inside 50s to 46. I know you can win games by having a discrepancy inside 50 or a discrepancy in statistics but I thought our backs basically saved us," he said. "The scoreboard, even though we had a few more scoring shots, we were probably lucky to get away with the two points." 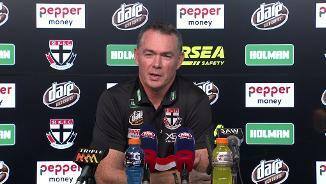 Alan Richardson was also disappointed, but pleased in the way St Kilda had backed up after plenty of doubts on the club's direction following its first month of the year. "Today was a step in the right direction. We're disappointed we didn’t get the result, but we played the footy, unlike recent weeks, that gave us an opportunity to win," he said. "And that's what our fans are after." 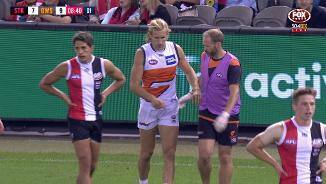 The Saints were intent on having a more physical presence this week and started the contest accordingly, with GWS midfielder Lachie Whitfield on the end of a couple of heavy hits in the opening term. The Giants led by three points at the first change but the Saints made them earn it in a combative and dogged start. Clearly picking up some confidence from their approach, the Saints' momentum built in the second term, when they took a four-point lead into the main change. McCartin had a good quarter, kicking two goals and missing another but continuing to present as an option in attack, while Luke Dunstan curled through a major from the boundary line to propel St Kilda ahead. Their lead was deserved and should have been more if not for their inaccuracy, and for the Giants there would have been concerns during half-time given their sluggishness. 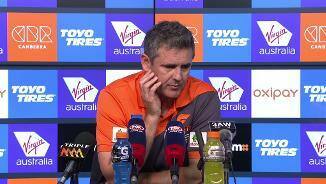 The Giants had only two goalkickers for the half – with Jeremy Cameron and Ryan Griffen both booting two – but they lacked the spark and energy which often makes them one of the competition's most exciting teams to watch. Some of the Giants' run and flash returned in the third term, as they clawed back in front and held a nine-point advantage at the final change. Dylan Shiel's shimmy, bounce and smart goal from the pocket was the highlight, but still the Saints remained a chance to cause the upset they had been threatening throughout the afternoon. 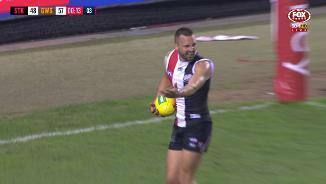 A goal to Jonathon Patton in the first two minutes of the final quarter didn't extinguish St Kilda's hopes of doing that, and their comeback gave a scrappy game a gripping end. St Kilda: The Saints lost midfielder Jack Newnes in the first term to concussion, so he will be monitored during the week. Greater Western Sydney: Nick Haynes hurt his knee in a marking contest in the opening quarter. He left the field several times and was hobbling through it but played the game out. 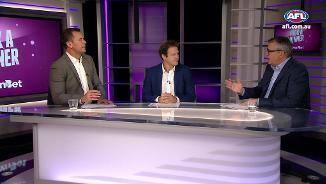 The Giants play their first game of the season at their home base Spotless Stadium next Saturday night against Brisbane, while St Kilda travels to Tasmania to tackle Hawthorn on Saturday night.